I received a copy of this book courtesy of the author. 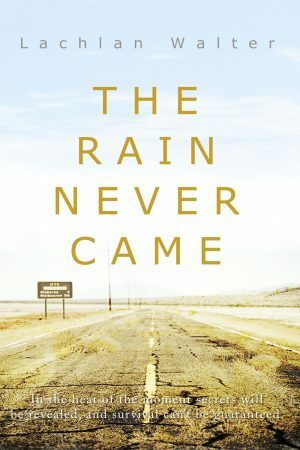 “The Rain Never Came” by Lachlan Walter is post-apocalyptic fiction set in a not-too-distant future Australia plagued by drought. Bill and Tobe are best mates who live in a derelict town that has been all but abandoned. They spend their empty days drinking at the local pub. However, when the pub’s bore runs out and they see some mysterious lights on the horizon, Bill agrees to leave town with Tobe. Australia really lends itself to desert dystopian stories and the premise of this one was interesting. Set around Western Victoria, I enjoyed imagining the hot Victorian summers I grew up with taken to their extreme. I was intrigued by the mysterious ruling entity that decreed that everyone had to be moved to northern regions where there was still rain. 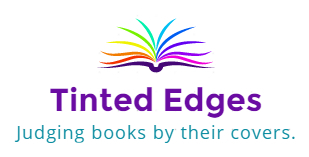 This is an action-packed book and once Bill and Tobe are on the road, the action is non-stop. There were some things that were a bit difficult about this book though. Walters writing style is very active and his characters are constantly doing things like walking, looking, smiling and laughing. Although as the story progresses, we learn a little more about Bill and Tobe’s past, what I really wanted to learn more about was the world they lived in. It wasn’t completely clear why people were being forced to leave the towns, and I would have liked to have had some more reveals about what led to this situation and what the purpose of the mass removal was. A compelling idea, but I would have liked more world-building and character development.